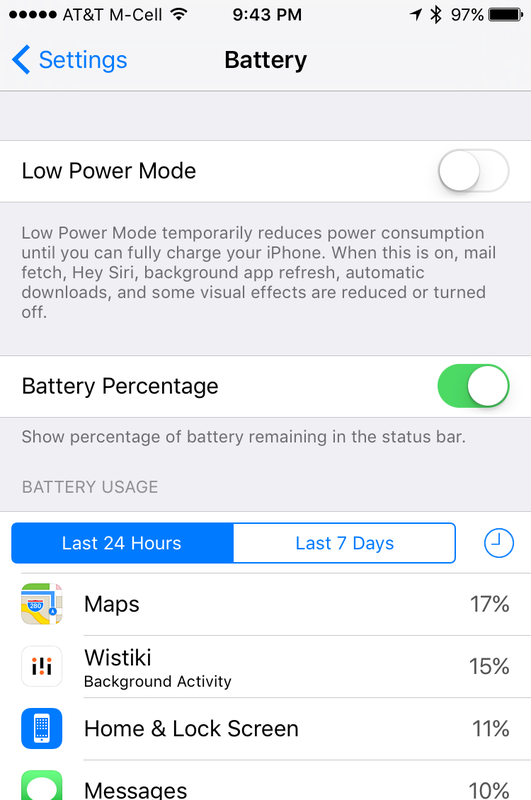 What apps are using up my iPhone battery? My iPhone battery seems to last a lot less time than I expect, and I’m wondering if there’s any way to see what apps or programs are consuming the most battery in iOS? 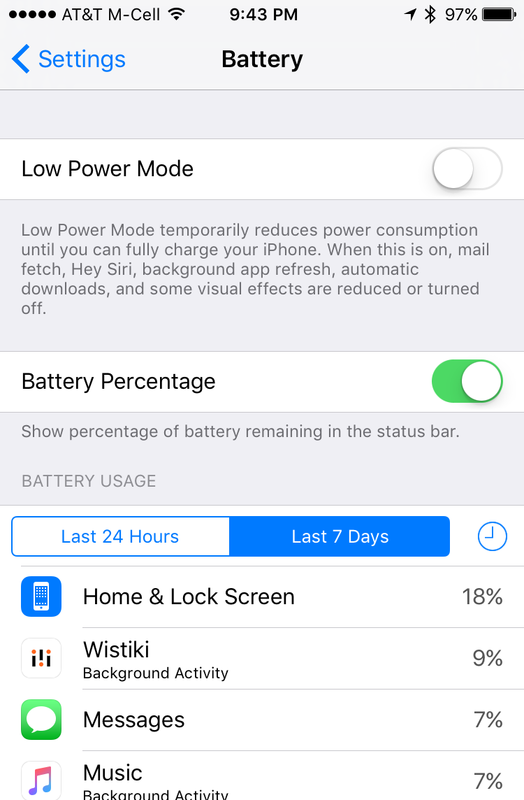 There are a lot of variables that can affect your iPhone battery life, notably including whether you have Bluetooth on without any peripherals, or wifi enabled without actually using wifi networking, but there are also some applications or programs that tend to run in the background 24×7 and eat away at your battery, hour after hour. Batteries also gradually lose their ability to accept and discharge a full and complete charge too, so if you’ve had your phone a year or more, that could be a factor too. Apple estimates that most of its modern lithium batteries have about 1000 full cycles before they’re too old to be truly useful. But iOS also has the ability to show you what apps are running on your iPhone (just as Android has exactly the same capability if you’re on a Samsung, LG, or similar). Let’s have a quick look, and you might find an unexpected app that is indeed consuming too much battery life. But hold on! Instead of just looking at what’s happened in the last 24 hours, tap on “Last 7 Days” to get a more accurate picture of what’s been happening on your phone. Also note here that you can add the nifty battery percentage to the top of your iPhone screen (as I have on mine). You can see that on my phone the biggest battery hog is “Home & Lock Screen”, surprisingly enough. 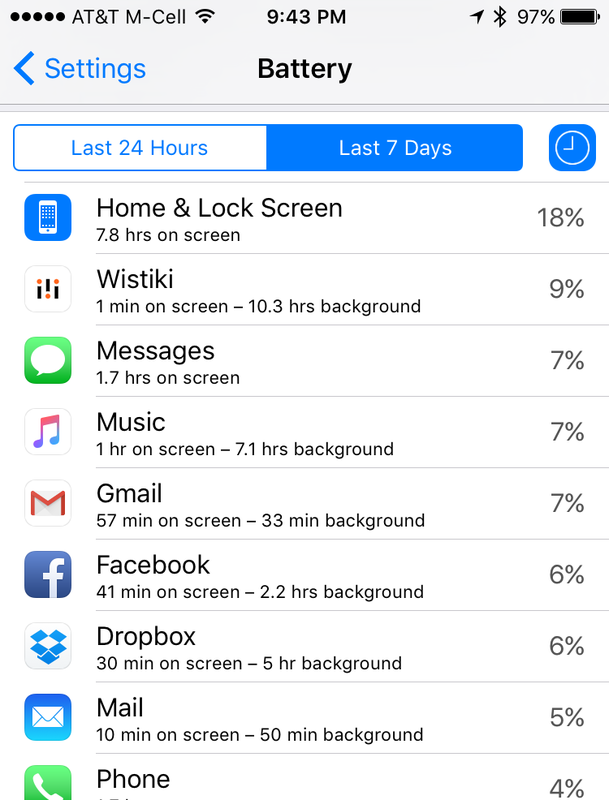 Not much I can do about that, but the tracking device app “Wistiki” is accounting for almost 10% of all battery usage, which is rather high too! Now, hope that helps you figure things out with your own iPhone and its battery life.